Anyone who has already paid the £65 to register for 'settled' or 'pre-settled' status will be reimbursed, the PM has promised. Speaking in Parliament within the last half hour, Prime Minister Theresa May has scrapped the £65 fee for EU Nationals who were expected to apply for the Settlement Scheme. 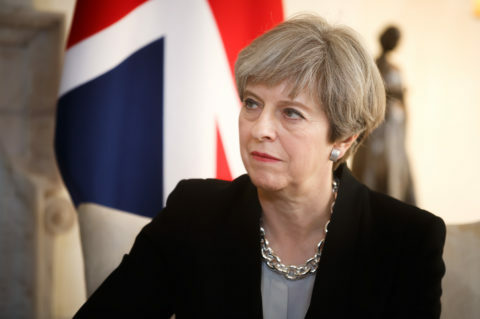 She has been speaking about her ‘Plan B’ for Brexit in a bid to get MPs to agree to a new proposal after her huge defeat last week. The scheme, which has been privately tested by various groups since Autumn 2018, has already been accessed by around 27,000 EU citizens and their dependants. Mrs May said that anyone ‘who has, or will apply during the pilot phase’ will have their fee refunded. According to the BBC, Mrs May told MPs she had listened to the concerns of EU citizens through their campaign group the 3million. All fees will be waived when the scheme is fully launched on 30 March. We will keep you updated with further details as soon as we have them. Smith Stone Walters helps people move to the UK. We understand, manage and support corporate immigration strategies, advising our clients on all aspects of nationality and UK work permit law.